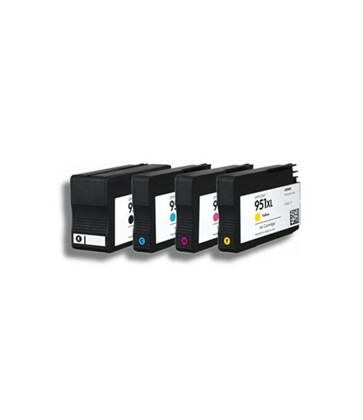 High Capacity Compatible 950XL / 951XL Cartridge for the above HP printers. Bundle includes compatible 950XL Black, and 951XL Cyan, Magenta, Yellow. 4 high yield Cartridges total. Note: In the past HP has been updating the firmware of your printer, making it difficult to use compatible inks. We now use the latest V5 chips that will work fine provided the latest firmware is installed. Go to HP Support to download the firmware if you are having problems.